Sharing his love of comics, past and present, as well as his lifelong love of Dr. Who and the influences of Will Eisner on one particular Hollywood great, I caught up with Mike Collins to discuss his varied career as a storyteller/artist in both comics and TV. Olly MacNamee: Mike, you initially trained as a barrister. Given your original career trajectory, what made you see the light and break into comics, particularly with regards to Marvel UK? Mike Collins: I’d always figured I’d be a barrister who drew Spider-Man on the side, after a fraught day in court. I gradually came to the realization that I’d be a rubbish lawyer but maybe a half-decent cartoonist. Also, having worked in the courts for a while I wasn’t suited to a career that dealt with the darkest parts of human nature. I switched my major from Law to Politics – studying politics, unlike the law which is based around fact, you need an opinion and I’ve got a lot of them. My university was handily at the end of the Metropolitan Tube line so I was able to visit the comics companies in London for advice and – eventually – work. OM: Which creators influenced you most, have you met most of your own personal heroes now and have any disappointed you? MC: The great thing about comics as a profession is how inviting and collaborative it is. I got to meet several of my heroes at the regular comic marts that were held at Westminster Hall, they were instrumental in getting my work seen by the big comics companies – 2000AD and Marvel UK – and were there for advice and encouragement. Brian Bolland, Alan Davis, Dave Gibbon, Alan Moore and Steve Moore amongst others helped me onto that first rung of the ladder. Will Eisner, the father of American strip art from the 1940s and a major figure in American storytelling (Orson Welles cited his strip The Spirit as a major influence in the way he shot Citizen Kane) was one of the most open and generous individuals I’ve ever met. A gentleman. If anyone could have justifiable carried airs and graces it was him but he accepted other artists, no matter how brief their careers as equals. OM: Over the years you’ve worked with some big names characters, not only at DC and Marvel, but also working on Dungeons & Dragons’ properties too. Did you get to go to the States much? MC: When I was working regularly for Marvel and DC I would visit the offices in New York once or twice a year. For a brief time I got to work in-house at Marvel in the legendary Bullpen which as a Marvel kid from way back was beyond a dream come true. 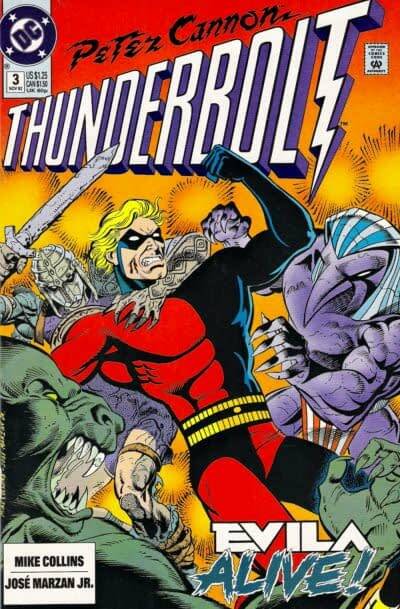 OM: Personally, I loved your run on Peter Cannon: Thunderbolt back in the mid-80s for DC Comics. But, are there any characters you haven’t tackled that you still have an urge to have a go at? MC: Thanks for that – It was a tremendous thrill to steer a mainstream DC comic, and include all kinds of daft Black Country/Brummie jokes amidst the high action and thrills. At some point I’d love to write and draw Superman, and if the opportunity to draw Spider-Man while Dan Slott writes it came up, I’d leap at it like a flea on a dog. OM: You’re primarily known for your artwork these days, rarely writing, but you broke into comics as a writer and pencil artist – Are there any stories you still long to tell? MC: I’ve a couple of ideas for personal projects, one which I’d write and draw – which I’m currently plotting out, the other I’d like to just write – which I’ve already broken down the plot – and have a female comic artist draw, as the central character is a woman and I’d like to work with someone who’d call me out if it got clichéd. Neither is superhero though have aspects of horror and science fiction while telling very human stories, and both would use comics storytelling in a way that I can’t see being replicated in another medium. OM: In recent years you’ve become immersed in the wonderful world of Doctor Who, as an artist on the comics and as a storyboard artist. Firstly, I have to ask, who’s YOUR Doctor Who? 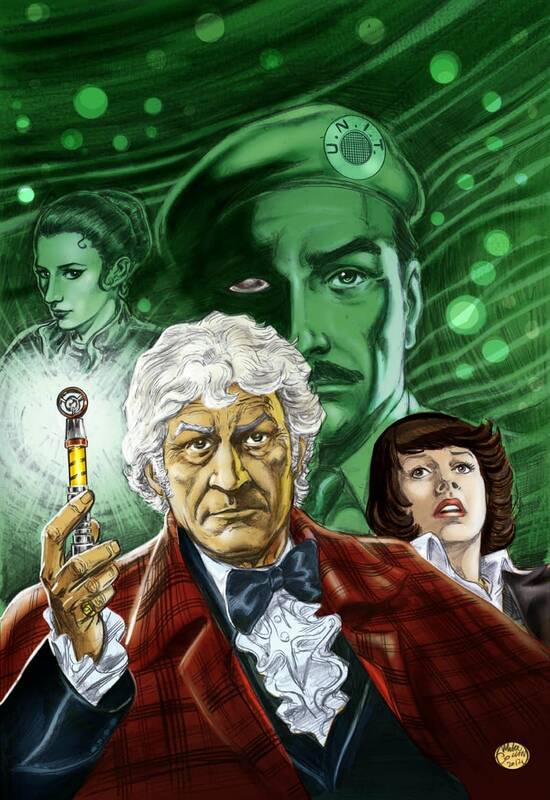 MC: Jon Pertwee. Hands down. I was too scared as a little ‘un to watch the show (I have vivid memories of snapshots of terror) but when Pertwee took over I was eight so felt I was old enough to take the scares! I’ve enjoyed aspects of all the actors who’ve played the Doctor, and the choices of actor since the show returned have been inspired. I love the sheer enthusiasm and energy Peter Capaldi is bringing to the role now and – from a personal point of view – I’m happy the Doctor is again being played by an actor older than me! OM: And, who is/are your quintessential Doctor Who villains? Which ones made you hide behind your couch at home as a kid? Or, even as an adult? I was always quite frightened of Bonny Langford myself. MC: The Daleks. They are the Doctor’s antithesis. He is about reason, compassion and humanity: they are stricture, oppression and inhumanity. I do love Michelle Gomez‘s Missy- she is his Moriarty: a twisted funfair mirror version of him, equally joyous but for all the wrong reasons. OM: How did you get involved with storyboarding on the TV show? It’s clearly a vocation you thoroughly enjoy. MC: It goes back to that inclusive nature of the profession: fellow comics/storyboard artist Andrew Wildman was over committed and had to turn down an episode of Doctor Who (Flatline) and recommended me – we comics people often push each other forward if we can’t take a job on. I had to demonstrate I could handle the high pressure environment of a weekly TV show and have fortunately been able to contribute to the show ever since. I’ve worked in storyboarding almost as long as comics, but this is by far the highest profile project I’ve ever been involved with. 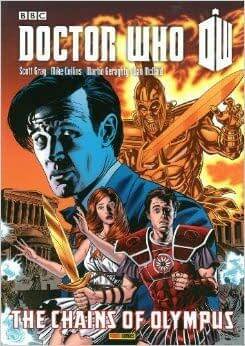 OM: Doctor Who shows us that comics (and TV) can still be fun. Are comics in this day and age, still fun? MC: They can be: Dan Slott‘s writing on Spider-Man is as good as that book has ever been. There’s a whole range of books available now, and I love that even now I can be thrilled and charmed by the medium. Bongo Comics’ Simpsons and Futurama titles are often better than the TV shows they’re based on. Jason Aaron‘s run on Wolverine and The X-Men was a joyous return to the high energy, galaxy spanning fun of the 70s-80s Chris Claremont run on the title. Dan Abnett and Andy Lanning‘s Guardians of the Galaxy comic writing transferred brilliantly to the cinema screen. I love the quirky comics that local stars Laura Howell and Lew Stringer produce, and isn’t it great that 70s underground artist Hunt Emerson produces weekly gems in The Beano? OM: Finally then, having broken your teeth on Doctor Who at the start of your career and now being so much a part of the current series, is it like returning home for you? Coming full circle perhaps? MC: Coming home? I never left! Olly MacNamee teaches English and Media, for his sins, in a school somewhere in Birmingham. Some days, even he doesn’t know where it is. Follow him on twitter @ollymacnamee or read about his exploits at olly.macnamee@blogspot.co.uk. Or don’t. Things Are Changing For Batgirl…And I Like It.